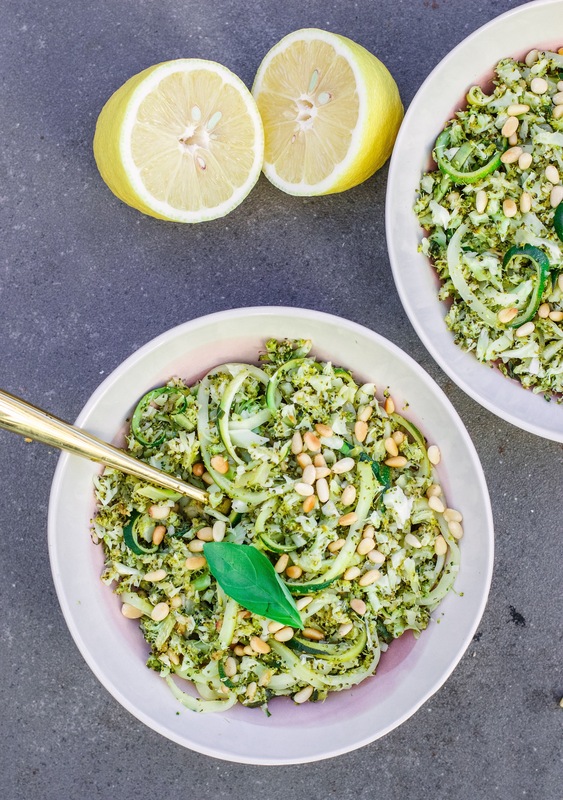 In January I’m always craving green, crunch and zest but it’s still freezing out so this warm salad is here to tick all the boxes and keep you cosy. 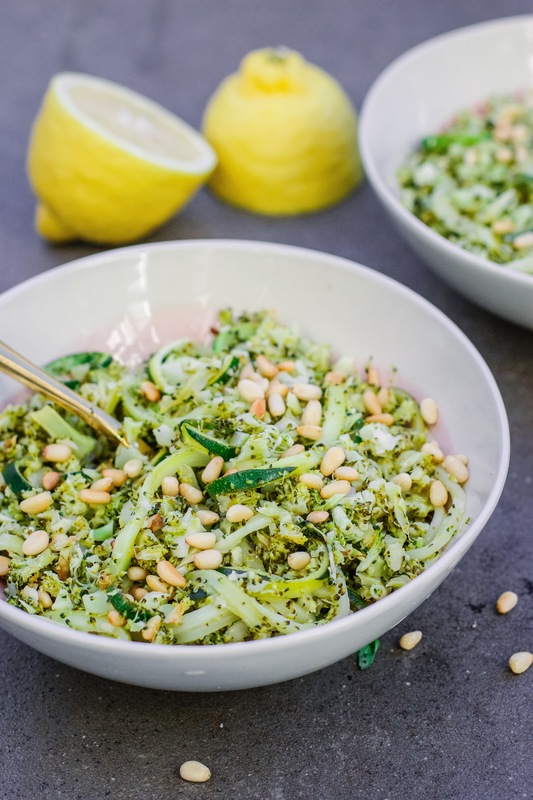 It’s full of zesty lemon and fresh basil but the warm veg makes it super comforting- the chopped broccoli is a sneaky way to add texture, spread out the flavour and get some extra green veg in! Chop the broccoli into florets, discarding the thick stalking the middle. Add it to your food processor and blitz until broken down into small chunks. Mince the garlic. Add the olive oil to a large pan on medium high heat. Add in the garlic and toss it in the oil. Add in the broccoli and toss it all well. Let it cook for about 4 minutes, stirring regularly, until it’s all hot and starting to soften. In a separate pan on medium heat, let the pine nuts toast for a few minutes until golden. Finely chop the basil and add it to the pan with the courgette along with the lemon juice. Toss it well and then pop a lid over it. Let it steam for about 2-3 minutes until the courgette is lightly tender. Season with salt and pepper and sprinkle on the pine nuts before serving. Hi Indy … I guess you add tge courgette with the lemon + pine nuts ? ?